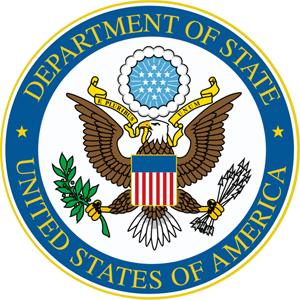 Please join us for a USRBC members-only monthly meeting with the U.S. Department of State's Russia Desk on Thursday, March 7th, 2019, from 11:00 AM to 12:30 PM. In these meetings we are regularly joined by the Director for the Russia Desk, Nicholas Berliner, or the Deputy Director, Ruta Elvikis, and the economic team. The meetings provide an excellent opportunity for members to receive an up-to-date briefing by the State Department's Russia specialists on the geopolitical bilateral agenda in an intimate setting, while ensuring that key government officials stay current on relevant bilateral commercial matters. To that end, it is very important that USRBC members arrive prepared to present background on your firm's business in Russia, your organization's current agenda, and any pressing concerns regarding U.S.-Russian commercial affairs. Please note that we fill each slot based on the order in which we receive your registration. Please provide the date of the meeting you would like to attend along with your full name, title, affiliation and cell phone number to Stephen McRae (stephen.mcrae@usrbc.org or 202-739-9180) to indicate your interest in attending a meeting. These meetings are limited to five companies per meeting (one representative per organization) to facilitate a meaningful discussion. Participation in the meetings is granted on a first-come, first-served basis. All members of the USRBC are invited to participate regardless of company or organization size. The USRBC undertakes considerable effort to equitably rotate member participation in these meetings throughout the year to ensure that we are drawing broadly across the USRBC membership. Once you are confirmed for a meeting, you will receive an email from Stephen McRae (stephen.mcrae@usrbc.org) informing you of the meeting details. Please note your registration is NOT confirmed until you receive an email with the meeting details. Please note that we consider these meetings to be a special benefit of USRBC membership, and we are especially grateful to our government colleagues for dedicating their time to meet with us. We respectfully request that members that RSVP to attend these meetings honor those commitments. Thank you, and we hope to see a group of you on March 7th or at one of the later meetings!